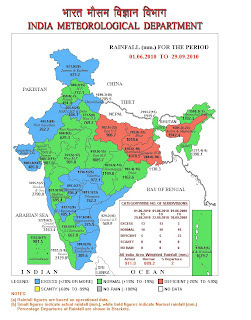 Vagaries all India and Mumbai Forecast put up. Leh Drops to -23.6c, Gulmarg, Pahalgam to -12c and Mt. Abu to -4c today Morning (2 Jan). Easy way For details of any event, see “Vagaries” archives of corresponding date. India, Jan 2010 started off with very cold days in the North. Delhi at 12c and Amritsar at 9c were the daytime temperatures. This was a result of absence of W.D. and a ridge keeping the north dry. Low temperatures in Nepal, Northern India, and northern Bangladesh were blamed on the deaths of at least 166 people. e lowest at -18c. Moscow was -26c. Severe cold in N.Europe. 10c minimum and -8c as the maximum. "Arctic air and record snow falls gripped the northern hemisphere yesterday, inflicting hardship and havoc from China, across Russia to Western Europe and over the US plains,". "There were few precedents for the global sweep of extreme cold and ice that killed dozens in India, paralysed life in Beijing and threatened the Florida orange crop. Chicagoans sheltered from a potentially killer freeze, Paris endured sunny Siberian cold, Italy dug itself out of snowdrifts and Poland counted at least 13 deaths in record low temperatures of about minus 25C (-13F)." But, in the Sub-Continent, March and April started heating up, very fast to Heat Wave levels. West was hot with Mumbai and Goa at 35c. South also hot. Nawabshah at 44.5c and Mumbai Scruz saw 38c. As the Heat Wave continues in the Sub-Continent, new "highs" in the minimum temperatures, for 18th.April were recorded, they were as much as +12c above the normal in Jammu, and +11c above normal in Hissar.Many other places report minimums at +4 to +8c above normal. Hissar Max:44.1 (+07) Min:30.8 (+11). May sets records in heat. Mohan jo Daro becomes the hottest ever in Asia with 53.5c. Sibi sees 53c. With many over 50c, may is the hottest. India see many places around 48/49c. With a good monsoon overall, after 2 drought years,there was relief from the heat too. Mumbai rains almost at all time high, just 135 mms short. Pakistan had the worst flooding in its history. Almost 60% of the country’s plains were under flood water due to heavy monsoon rains. 4 million people were affected. But, Bangladesh has experienced its driest monsoon season for more than a decade despite heavy rains in neighbouring India and Pakistan that caused flooding. Bangladesh received 139.5cm of rain this monsoon, which runs from June to September, nearly 20 percent less than predicted by the meteorological office and the lowest rainfall since 1994. July was a hot month in Moscow and across many other parts of Russia. The highest temperature on record (in roughly 130 years of Moscow weather records) was reached on July 29, this being 38.2C. This broke the previous high mark of 37.5 C set only three days earlier, on July 26. This was nearly tied on July 28. August Heat Wave : in Russia the temperature reached 36.6C in Moscow; St. Petersburg reached 33.3C. Searing heat has invaded eastern Belarus, where readings to 37 C or 38 C have been reached. Sooner than expected, Winter restarted in North with an early October snow. All the higher reaches of Kashmir, H.P. and Utteranchal received their first early snowfall. 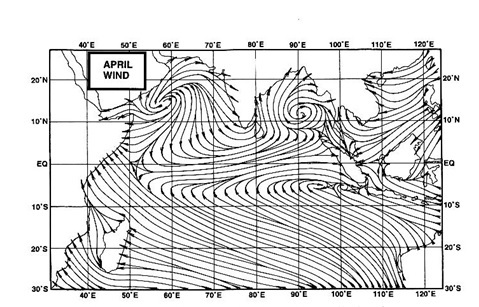 New low pressure records for the continental USA were established during the passage of a major cyclonic storm on 26 October 2010. At Bigfork, Minnesota (47.75°N, 93.65°W) the MSL pressure fell to 954.9mb - a value more typical of deep Atlantic and Pacific systems than the middle of the US continental land mass. The Bigfork value is confirmed by the readings of 955.6mb at Orr and 956.0mb at International Falls: the previous lowest pressure record at International Falls was 971.9mb, almost 16mb higher, which occurred on 11 November 1949. The 2010 Atlantic storm season was twice as active as normal but what really amazed forecasters was that a record 12 hurricanes formed but never made landfall in the United States. The hurricanes and 19 named tropical storms over the Americas and the Caribbean during the June 1-November 30 season did contribute to some of the worst flooding in decades in Central and Southern America. December started of with below normal cold nights in Central and northern India. And, a strong W.D. ends the year with copious snowfall in the entire North, and snow in the lower hills too. For Europe, it was the coldest and snowiest December ever !! U.K. saw all time lows and London dropped to -9c, with the heaviest December snow. U.S. went thru the worst snowstorms in the NE. New York witnessed its 5th worst snow storm ever. The current La Niña developed quickly in June and July 2010, following the dissipation of the 2009/2010 El Niño in April. Since August the event has been moderate to strong. @rajesh pl. give latest evaluation of Delhi fog and temperatures Jan 7-9th. emkay,for the 7/8/9 i visualise fog in delhi upto 9 am. Not too thick, with visibility upto 1 km at the peak hour, around dawn. Fog will be lifting by 9/10 am. Temperatures on these days would be around the range of 19c as the day temp and 6/7c at night.clear sky. But windy in the day with winds around 10-15 kmph.